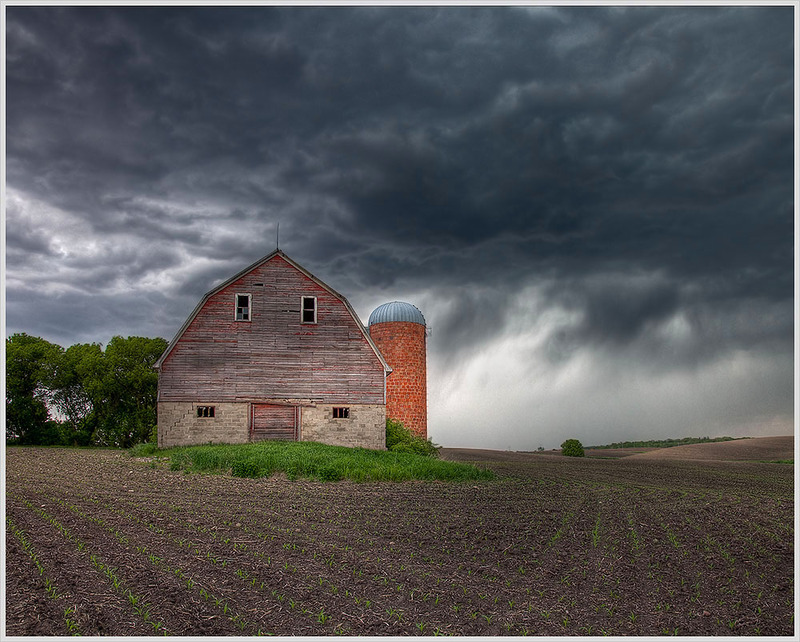 An abondoned barn stands against an approaching storm in Otter Tail County, Minnesota. May 29, 2009. Love that ol' barn with the weathered boards. Cool lines in the fields where it's been planted - the clouds are phenomenal.